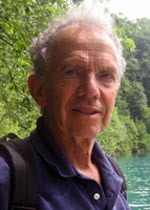 Joel Cooper, Professor of Psychology at Princeton University, received his bachelor’s degree from the City College of New York in 1965 and his doctoral degree from Duke University in 1969. He joined the psychology department at Princeton shortly after earning his Ph.D. Although various visiting professorship positions have taken him to University College London, Hebrew University, the East–West Center in Honolulu, Auckland University, and the University of Queensland, he has been affiliated with Princeton his entire career. Dr. Cooper has been at the very forefront of research on cognitive dissonance theory since his days as a graduate student. Over the ensuing decades, he has fostered one new development after another in our understanding of dissonance. His theoretical and empirical work has clarified the conditions under which cognitive dissonance is aroused and, ultimately, yields attitude change, and has illuminated the mechanisms underlying the experience of dissonance. He has linked his theoretical perspective regarding dissonance as a state of arousal that occurs when a person accepts personal responsibility for having produced an unwanted consequence to important questions concerning foreseeability, self-affirmation, and the standards by which we judge ourselves and our actions. More recently, in forging a link with the literature on social identity, he has demonstrated that dissonance can be experienced vicariously, simply as a consequence of observing the counterattitudinal behavior of a person with whom one shares a valued identity. Throughout his career, Dr. Cooper has been concerned with the practical implications of his work on cognitive dissonance. He has employed his theoretical perspective as a guiding force to understand what is involved in the principle of effort justification and, well before the new call for translational research, successfully demonstrated its relevance to clinical issues. His research has shown how effort justification can be maximized so as to enhance the effectiveness of therapeutic interventions aimed at the reduction of phobia, the development of assertiveness, and the promotion of weight loss. Dr. Cooper also has made significant contributions to the study of the effect of expert testimony in the courtroom and to the understanding of gender differences in the effectiveness of information technology, particularly among school children. In addition to his extensive contributions to a variety of scientific literatures, Dr. Cooper has consistently invested time in serving the discipline. He has served on many NIH scientific review panels and as Executive Committee Chair of the Society of Experimental Social Psychology. For the last five years he has been editor of the Journal of Experimental Social Psychology, overseeing its remarkable growth and its flourishing role as one of the most prestigious outlets in the field. Moreover, he is recognized as an outstanding teacher. As a result of his inspiring performance in the classroom and his superb record of mentoring graduate students, Dr. Cooper received the Princeton University President’s Award for Distinguished Teaching in 2006. * The FABBS Foundation would like to thank Dr. John Cacioppo, Dr. Russell H. Fazio, and Dr. Susan T. Fiske for nominating Dr. Cooper for this honor and for leading the effort to spread the word about his nomination. Would you like to honor Dr. Cooper? It isn’t too late to have your name added to the list of donors! You can make your donation to Dr. Cooper’s In Honor Of… campaign at anytime.